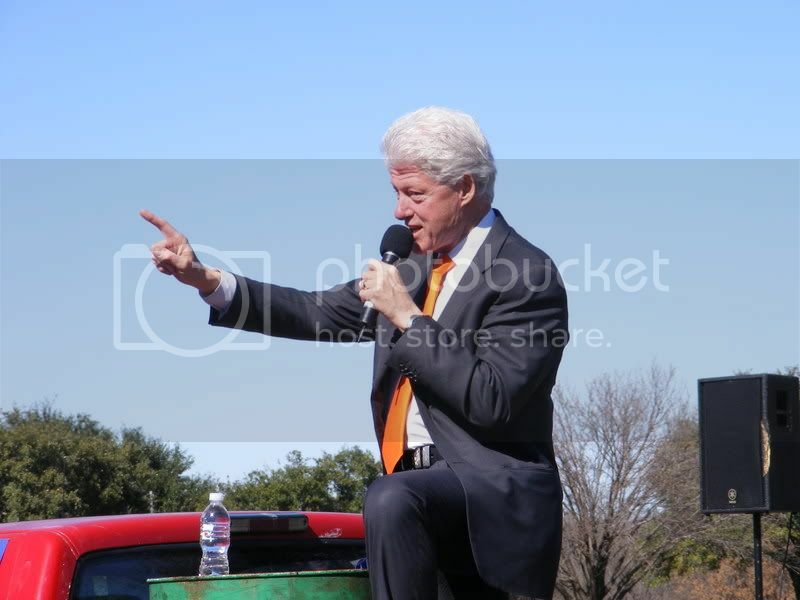 Today Bill Clinton was visiting Dallas on campaign for presidential electorate Hillary Clinton. Mahamantra Prabhu kindly called me and told me that he was visiting and would be speaking just a few blocks from the temple. Mathuranatha Prabhu, Amala Kirtan Prabhu and Lakshmi Priya and her family went to see him and offer him a Divine Nature. After speaking and leaving the podium a large very intense crowd of people to rushed see him, including these devotees. Mr. Clinton would quickly shake the hands of the people with a nod of a approval. He did however slow a little when he was a approached by the devotees, taking a book from Amala Kirtan Das he said, "Do you want me to sign this for you?" Amala replied, "No, this is a gift for you." He looked at the cover and responded, "Thank you very much." Recently on Krishna.com one of the devotees inquired in following post Eating Prasadam= Human Birth? "I heard that if a person eats Prasadam even once in their life, they are guaranteed a human birth in their next life. Is this true? (If so, the book, chapter, and verse(s) which speak of this subject, if they could be included, would be greatly appreciated.)" āra dina — the next day; keha — all of them; tāra — of the dog; dekhā nā pāilā — did not get sight; siddha-deha pāñā — obtaining a spiritual body; kukkura — the dog; vaikuṇṭhete gelā — went to the spiritual kingdom, Vaikuṇṭha. The next day, no one saw that dog, for it had obtained its spiritual body and departed for Vaikuṇṭha, the spiritual kingdom. This is the result of sādhu-sańga — consequent association with Śrī Caitanya Mahāprabhu and promotion back home, back to Godhead. This result is possible even for a dog, by the mercy of the Vaiṣṇava. Therefore, everyone in the human form of life should be induced to associate with devotees. By rendering a little service, even by eating prasādam, what to speak of chanting and dancing, everyone can be promoted to Vaikuṇṭhaloka. It is therefore requested that all our devotees in the ISKCON community become pure Vaiṣṇavas, so that by their mercy all the people of the world will be transferred to Vaikuṇṭhaloka, even without their knowledge. Everyone should be given a chance to take prasādam and thus be induced to chant the holy names Hare Kṛṣṇa and also dance in ecstasy. By these three processes, although performed without knowledge or education, even an animal went back to Godhead. Since becoming involved with the devotees in Dallas so many years ago now, I have appreciated the piece about Sri Caitanya and the dog who goes back to Godhead. My wife and I have two guinea pigs , and because we offer their fresh veggies to Krishna, they squeal with anticipation when they hear the Mahamantra. I was very happy to hear that former President Clinton was gifted with a copy of Divine Nature. So often devotees avoid political discussions for fear of material entanglement, but we must remember that Robert Kennedy played an important role in the renewal of Srila Prabhupada's Visa at the behest of Allen Ginsberg . I don't mean to imply that Democratic candidates are somehow arbitrarily more saintly than Republican ones, but we as devotees should at least lend nominal support to those more tolerant of the Sri Krishna sankirtan movement.